By air, the nearest airport is Indore Airport. The Indore Ahilyabai Holkar Airport is around 95 km from the City. Indore Airport is a domestic airport connected to the Delhi International Airport by means of regular flights. Indore Airport is also very well connected by means of regular flights to major cities like Mumbai, Bhopal, Gwalior, Jabalpur, Pune, Ranchi, Jaipur. Indore Airport is fully equipped with modern facilities and amenities. For the foreign tourists, connecting with Indore Airport via Delhi International Airport is feasible. Tourists can also connect with Indore Airport via Mumbai Airport. From Indore Airport there are many private taxis and buses which take you to this city all throughout the day. The nearest railroad is Ratlam. Ratlam is around 120 km from here and the road from Ratlam to Mandu City is very feasible. Ratlam City falls on the Delhi – Mumbai Rail route and hence forms the main feasible rail route to this City. Ratlam is very well connected to all the major cities in India. Additionally the other rail route is Indore around 99 km from this place. But as compared to the convenience factor, Ratlam is far more reachable than Indore Station when it comes to reaching this City by train. Few trains which ply on this line and halt at Ratlam include Mumbai Rajdhani, Pune Indore Express, Pune Jaipur Special, Haldighati Passenger, Sabarmati Express, Bhopal Ajmer Express, Paschim Express (Amritsar), Dwarka Express, Awadh Express and many more. By road, this place can be accessible from many routes. By road, city is around 278 km from Bhopal and 124 km from Ratlam. This place can be accessible through either Ratlam which falls on the Mumbai – Delhi Highway and thus this city can be easily reached via Ratlam from all the major cities in India. The State Transport Buses from Madhya Pradesh connect this city to various cities within the State. There are many buses, both Regular and Semi – Deluxe buses which ply regularly to this city from Indore, Ratlam, Bhopal, Ujjain, Jabalpur and other cities in Madhya Pradesh. These buses charge a nominal rate to its passenger. This City is one such place in Madhya Pradesh where one can expect good and comfortable accommodations in affordable prices. When it comes to accommodation, the city has lot to offer with various options ranging from low budget and economy accommodations to luxurious and expensive accommodation range giving guests an option of choosing their type of stay as per their budgets. Traveller's Lodge: Traveller's Lodge is located 1 km from city Bus Stand. Traveller's Lodge offers budgetary accommodation with comfortable rooms at Rs. 600/- for two persons. Tourist Cottage: Tourist Cottages are MPTDC Properties made available for tourists visiting the city. Tourist Cottages offer spacious accommodation and are located 2 km from the city. The Tourist Cottages nestle amidst scenic location and overlook a beautiful lake and the panoramic surroundings nearby. The Tourist Cottages tariff is around Rs. 700/- per cottage and has facilities like room service and outdoor restaurant. Like each and every city, This City also has two comfortable staying options planned by the Madhya Pradesh Tourism Development Corporation (MPTDC). 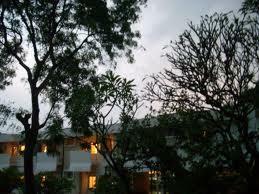 Two of the most prominent resorts owned by MPTDC for comfortable stay in the City are Malwa Resort and Malwa Retreat. 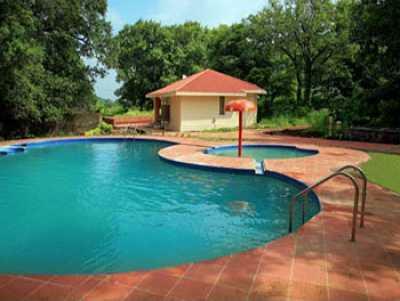 MPTDC Malwa Resort: MPTDC Malwa Resort is located amidst scenic surroundings and offer spacious accommodations in the form of luxurious cottages. The facilities offered by MPTDC Malwa Resort are excellent and the service is amazing. MPTDC Malwa Retreat: MPTDC Malwa Retreat is one of the finest accommodation options available at this place. MPTDC Malwa Retreat offers various choices when it comes to accommodation which includes spacious a/c or non a/c rooms and independent air-conditioned Tents. Mentioned below is the list of private hotels and resort which offer comfortable and luxurious accommodations to tourists who visit the City. Jhira Bagh Palace: Jhira Bagh Palace is a Heritage Hotel located on the Mandu Road in the city. 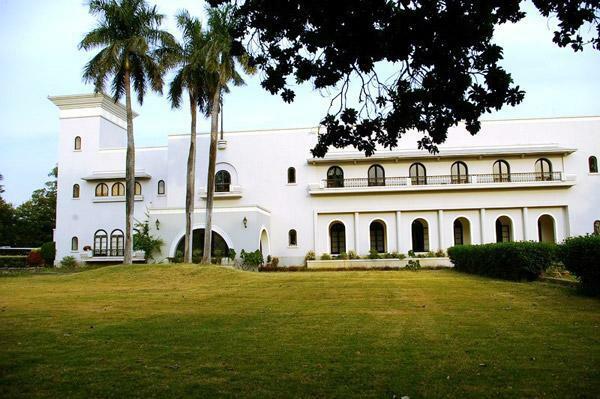 Jhira Bagh Palace as the name suggests offer excellent and royal accommodations amdist lush greenery. Jhira Bagh Palace is centrally located making it convenient for visitors to locate. Jhira Bagh Palace offers king size rooms for its guests along with all luxurious facilities. Hotel Roopmati: Hotel Roopmati is a economy hotel located closer to the Bus stand in the City. Hotel Roopmati offers comfortable accommodation with air-conditioned rooms which are charged nominal Rs. 1000/- for double occupancy. Hotel Roopmati has all the basic facility which includes spacious rooms, pleasant location and multi-cuisine restaurant which serves Indian and Chinese Food. Thanks for the useful information. Your article is beneficial for us and those who are searching for hotel in ujjain near mahakaleshwar temple.